I haven’t posted in a while because I’m neck deep in two book projects. One is a 208 page graphic novel for Island Press and I’m just starting illustrating a chapter book about dinosaurs for Simon & Schuster. It’s good to have a ton of work, but I look forward to when I can get back to print-making! 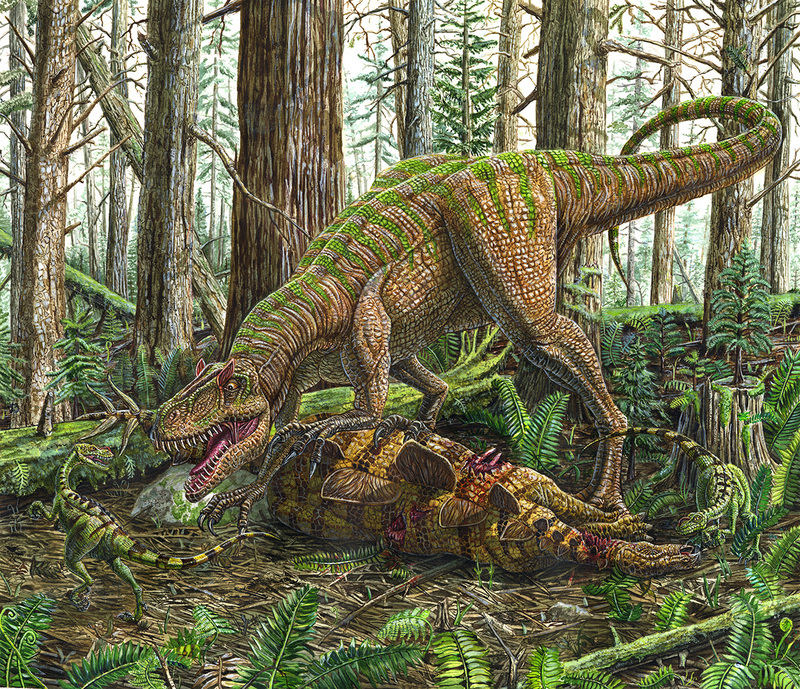 Above is a very old Allosaurus illustration I painted while I was living in Italy. 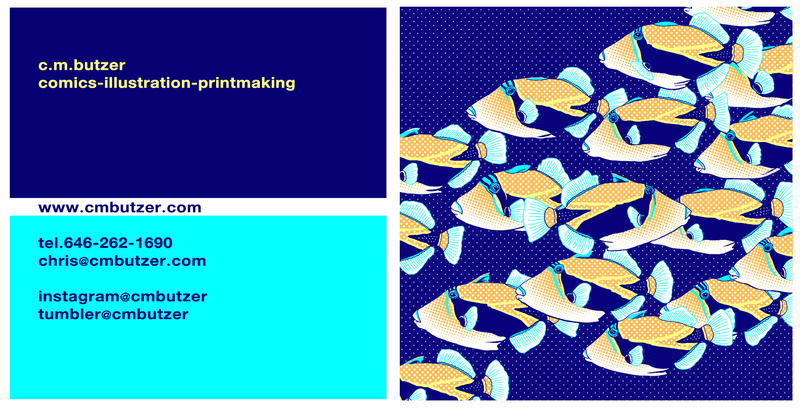 Another Print mock-ip from my “Fish I see while snorkeling” series. This is a companion piece for my Humuhumunukunuku-apua-a. print I did earlier. If you match this on it’s right side with that piece the patterns match up. These guys are a pretty common sight while snorkeling here in Hawaii.”Kikakapu” is it’s Hawaiian name. 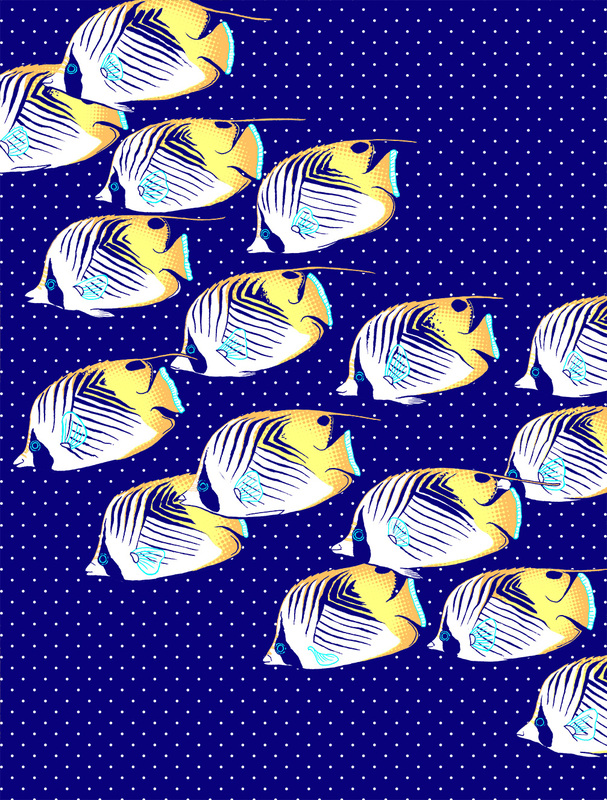 It’s common name is the Threadfin Butterfly Fish. 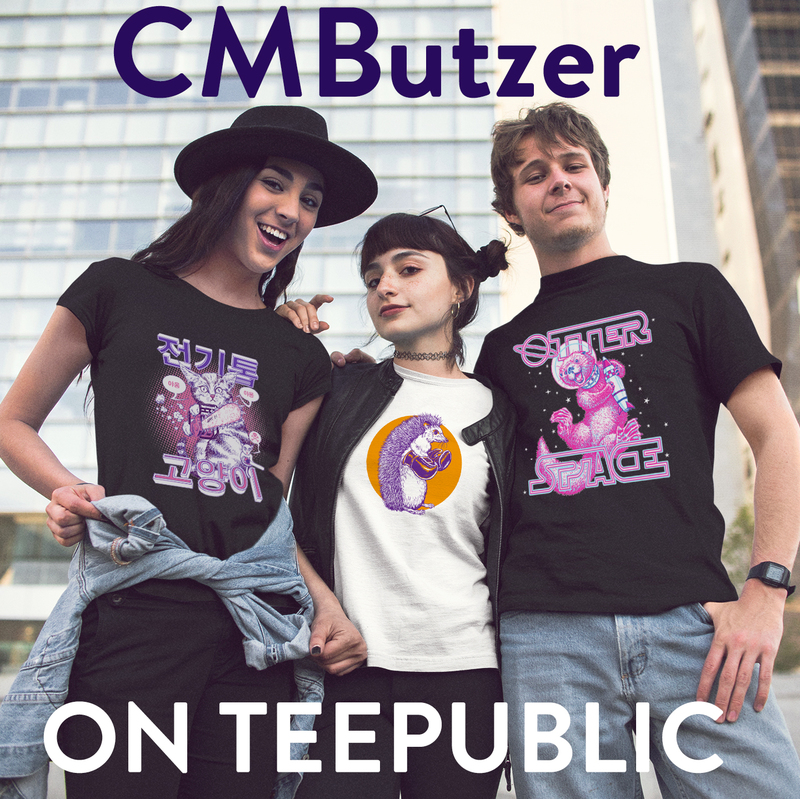 I’ve had my stuff on Tee-Public for awhile now. I mainly used it as an outlet for people who wanted my work on T-shirts that I don’t personally have in stock. I’ve now invested time and effort in improving my presence on the site. There are now a ton of my images available to purchase on t-hirts, pillows, phone cases, laptop cases, mugs, and coffee cups. 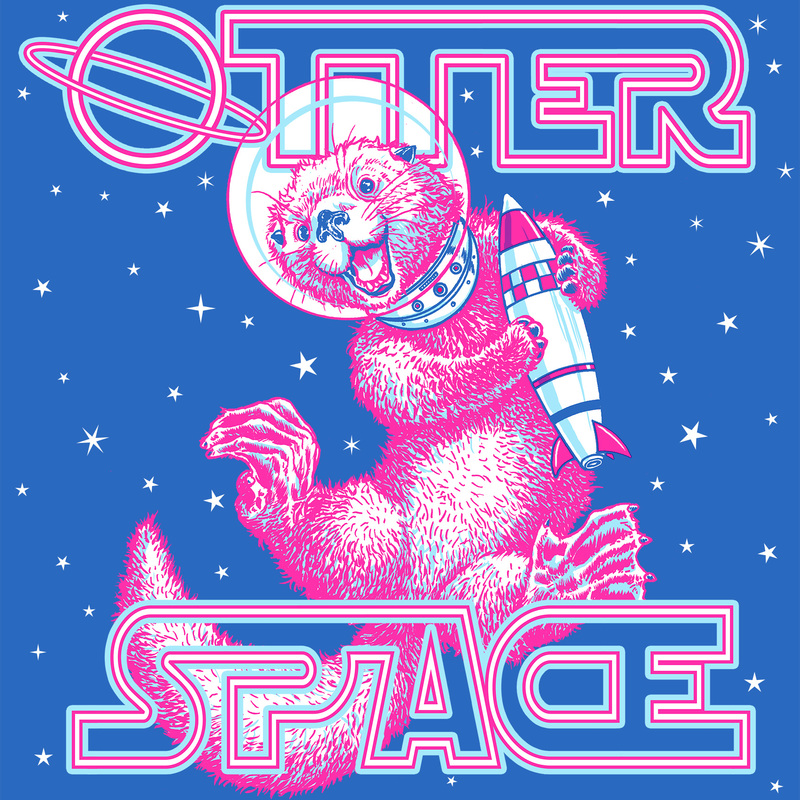 A new design for a t-shirt and silkscreen print. 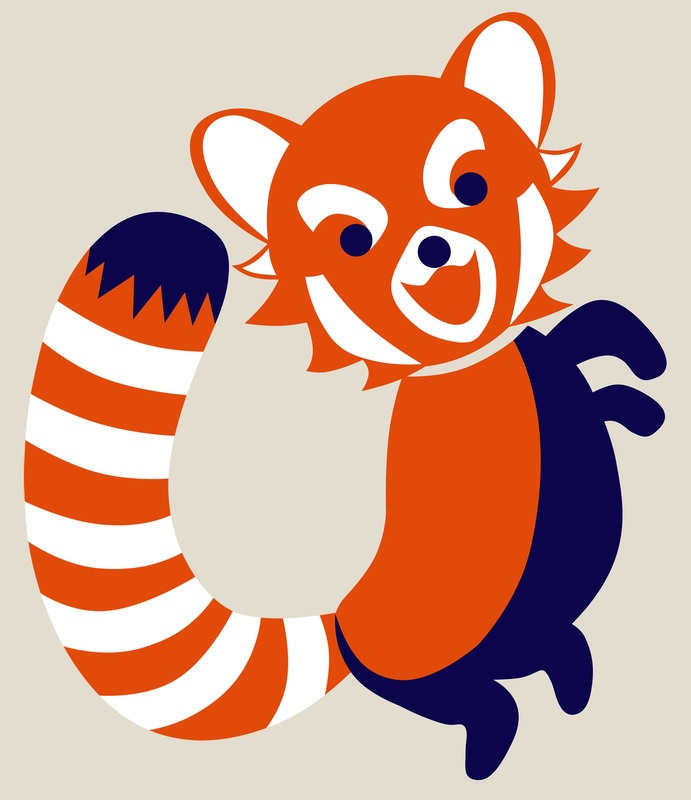 I’m also thinking I might make a tote-bag out of this fun design. 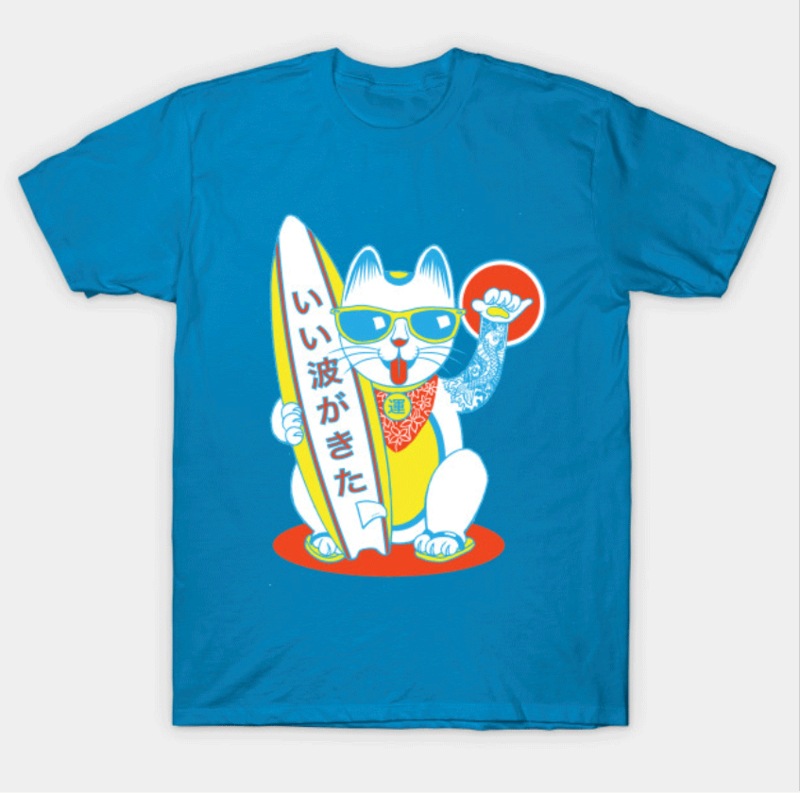 Need some luck catching waves? Look no farther than this gnarly lucky feline! 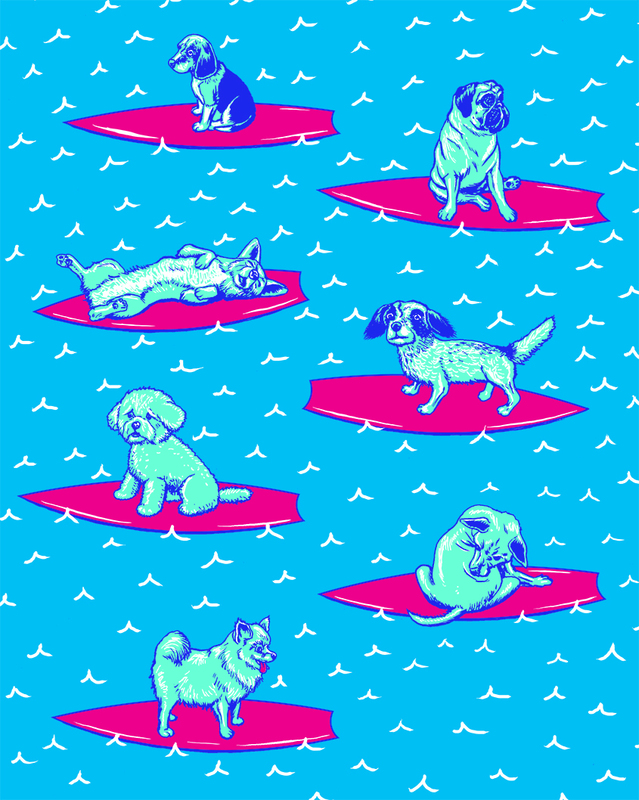 You can pick this up on t-shirts, coffee mugs, phone cases, and all sorts of things! MoCCA festival is around the corner and I’ll be exhibiting again this year! 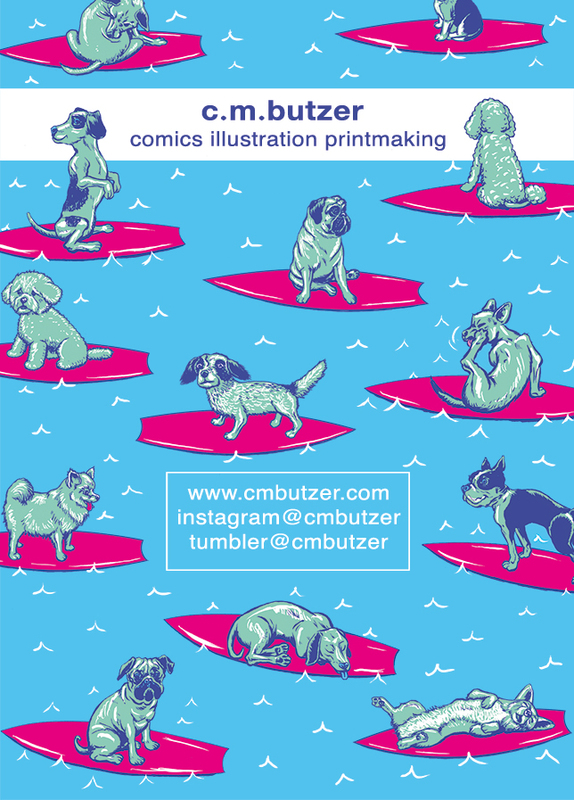 I’ll be peddling all sorts of comics and hand printed silkscreen prints! I’ll be at tables! B 124-126 with a whole slew of old and new friends from my old Brooklyn Studio. I’m excited and you should be too! Come by and say Hello! 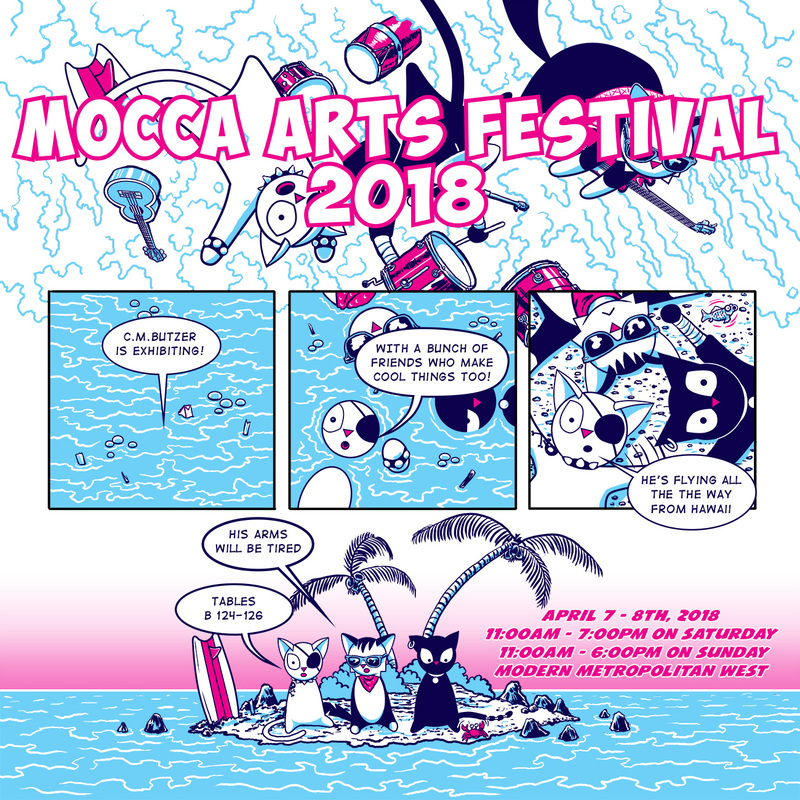 MoCCA Arts Festival will take place April 7 – 8th, 2018 from 11:00AM – 7:00PM on Saturday and 11:00AM – 6:00PM on Sunday, held at the luxurious and modern Metropolitan West located on West 46th Street between 11th and 12th Avenues. 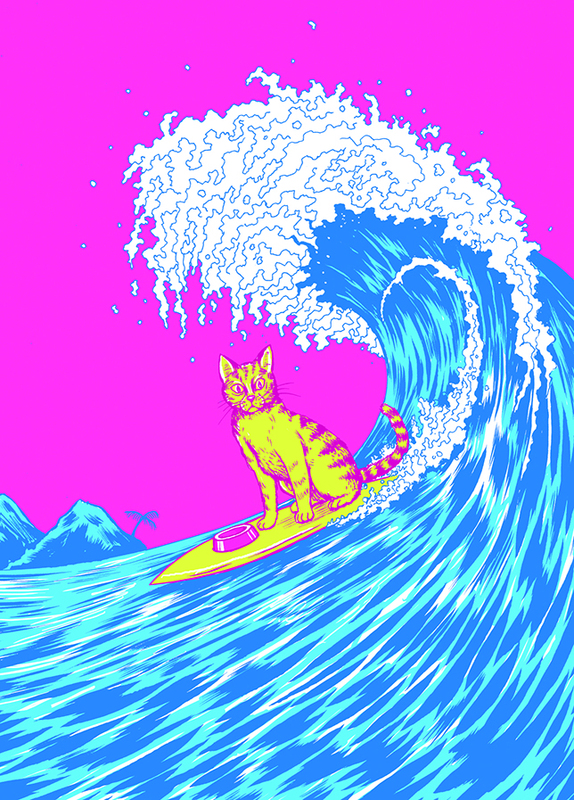 Another colored version of the surf screenprint series I’ve been working on. This is intended to be a four color silkscreen print. I don’t do a lot of four color prints because the more colors you have you increase the likelihood of missed registration which leads me to be grumpy. 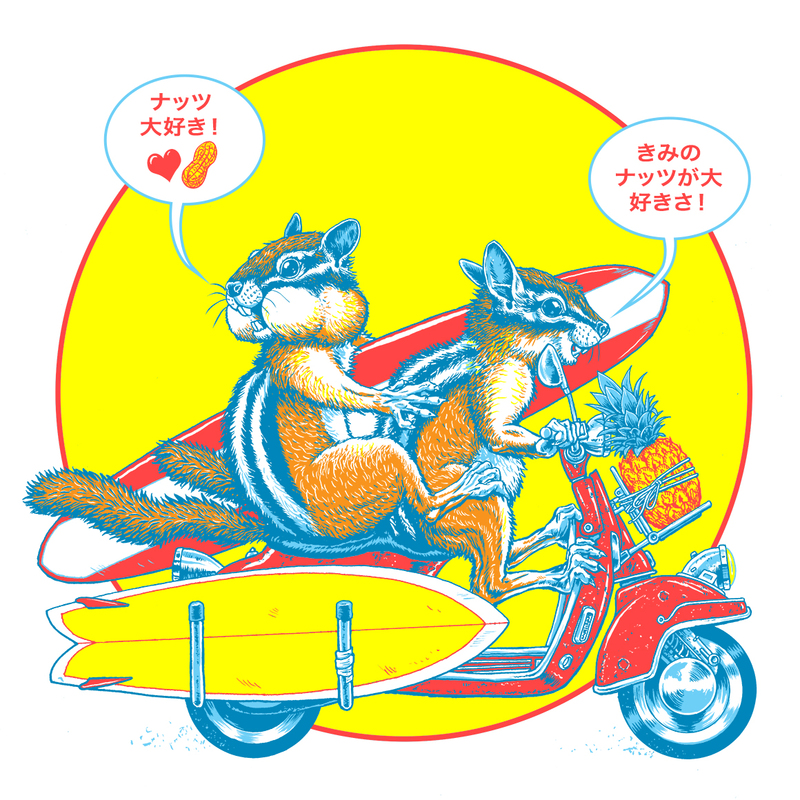 That said I played with less colors on these two rad rodents and it didn’t feel right, so FOUR colors it is! Thank you Aya Kakeda for translating for me once again!